I am a big fan of whiteboards. They help me visualize ideas, are infinitely malleable, and easy to erase in the end. As someone who works from a home office, the whiteboard near my desk is a place where ideas start to take form. Over the years I have adopted several methods for organizing the tasks I need to get done each day. Most organization methods tend to last for about 2-4 weeks until I fall back into old habits. To begin 2015, I am trying a new organization system to see if it will help me be more productive. It is called the 1-3-5 method of time management and is so simple it might just work. Choose one big thing to do for the day. This will be where you spend much of your time, let’s call say more than two hours of your time. 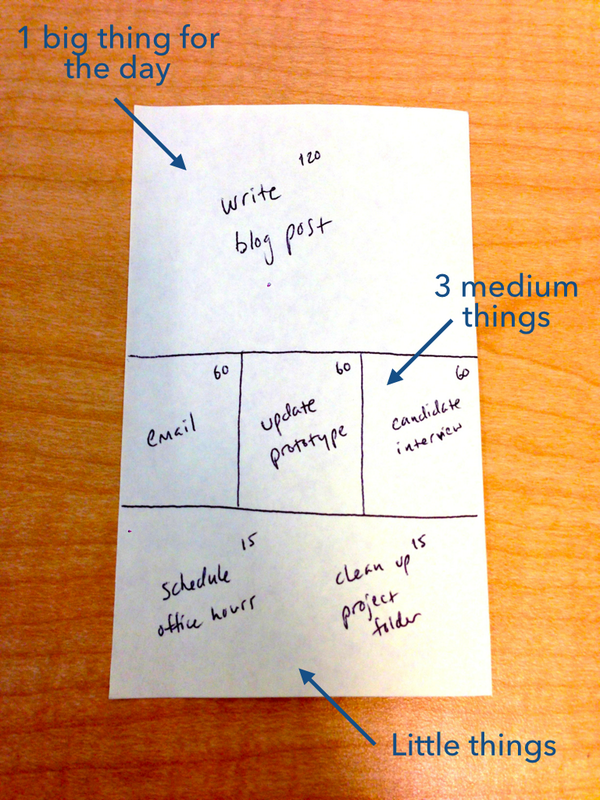 Next, choose three medium sized things you will work on that day. These are projects where you will spend an hour or so on. Last, fill in the rest of your day with 5 small things you want to do as well. Add these together, and you can set a plan for yourself each and every day. The best part about this system? You can fit it on a post-it note or write on your whiteboard each day. Talk about a constant reminder! This particular post-it note was found on Twitter. If you are the type of person who likes to get things done, give this organization system a try. It’s simple to use and essentially free if you have a whiteboard. You can also pay for software to help you keep track of the days. Not into whiteboards? Then there are several systems I have tried to varying levels of success. 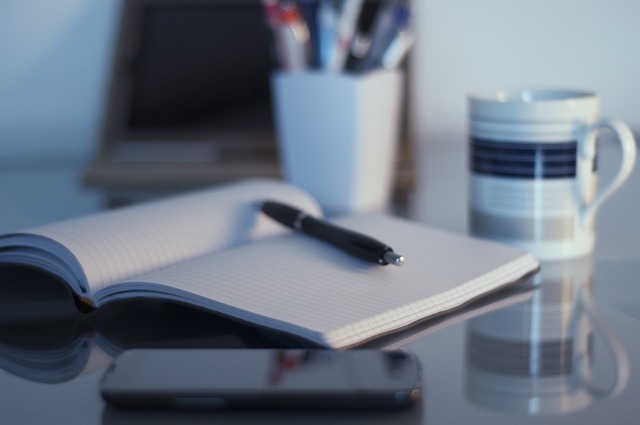 Workflowy, Evernote, Trello and Slack are all tools that can help you stay organized. The key to any of them is making it part of your daily ritual.